Venice is a unique lagoon city made up of over 100 islands connected by over 400 bridges. Discovering Venice is to uncover hidden statues and squares, not just the familiar tourist spots of Rialto Bridge or piazza San Marco, home to St Mark’s Basilica, Doge’s Palace and the clock tower, the Torre dell Orologio. Get a bird’s eye view of Venice by taking a lift up to the top of the Campanile, once ridden to the top of on a horse by Holy Roman Emperor Frederick III. Elsewhere, you can listen to Vivaldi, Venice’s son, see artworks by Venetian grand masters Titian and Tintorelli or buy some authentic Venetian lace. Then there’s the vino, cicheti, gelato, aperitivo time….the sooner you say ciao to DisabledHolidayscom, the sooner you’ll be there! What's available with our disabled holidays in Venice? Situated right by the Grand Canal. Access to the central St Marks Square area is via the regular Vaporetto (water bus) service, which has a terminal just yards from the hotel. This is the only hotel in Venice that can be reached by road. A 4-star accessible hotel housed in a 14th-century patrician palace, close to the Academy Gallery, St. Mark’s Basilica and the Peggy Guggenheim Museum. A modern 4-star property offering comfortable accommodation north of Venice. 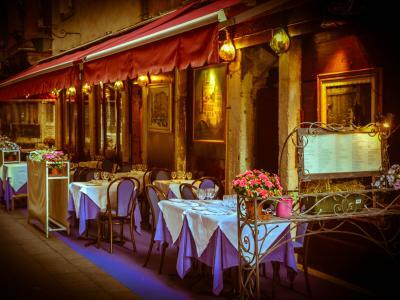 This hotel is located right in the centre of Venice, close to the Grande Canal and various shopping venues. St. Mark's Square is only 50 metres away and public transport is just 100 metres from the hotel. Property Location With a stay at Hotel Sorriso in Venice (Lido of Venice), you'll be close to Venice Convention Center and St. Mark's Basilica. This hotel is within close proximity of Parco delle Rimembranze and Giardini Pubblici. Property Location Located in Mestre (Mestre - Marghera), Hotel Al Vivit is minutes from Piazza Ferretto and Toniolo Theatre. This hotel is within close proximity of Villa Salus Hospital and Ospedale dell'Angelo. Elite Hotel Residence is a friendly 4-star property offering comfortable accommodation in mainland Venice. Highlights include free Wi-Fi, an onsite bar and a small gym. The atmosphere that envelops the hotel is from another era, that of the romantic Venice of the Serenissima, without forgetting the most modern amenities and services. Property Location With a stay at Albergo Nuova Aurora in Mestre (Mestre - Marghera), you'll be close to Porto Marghera and San Giuliano Park. This hotel is within close proximity of Toniolo Theatre and Piazza Ferretto. Property Location With a stay at Hotel Storione in Jesolo, you'll be on the beach and close to Sea Life Jesolo and Tropicarium Park. This beach hotel is within close proximity of Jesolandia Amusement Park and Capannina Beach. Villa Giulietta is a business-friendly hotel located in Fiesso d'Artico's Riviera del Brenta neighborhood, close to Villa Pisani, San Rocco Church, and Giuseppe Garibaldi Monument. Location. 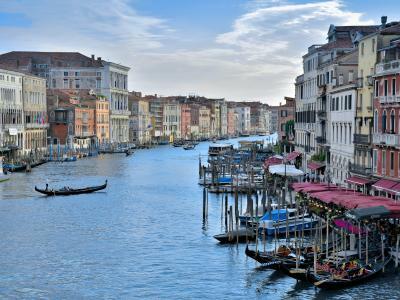 Located in central Venice, Hotel Le Isole is connected to the airport and within walking distance of Bridge of Sighs, National Library of St Mark's, and St. Mark's Basilica.